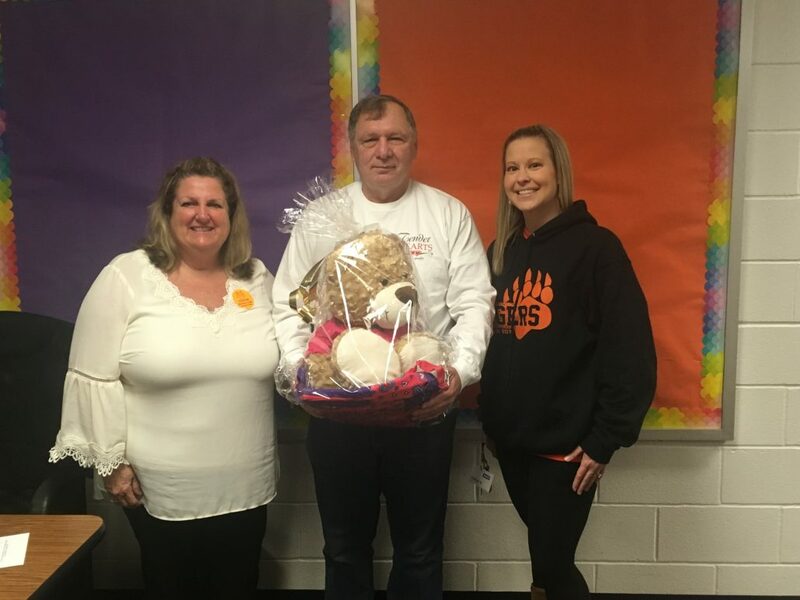 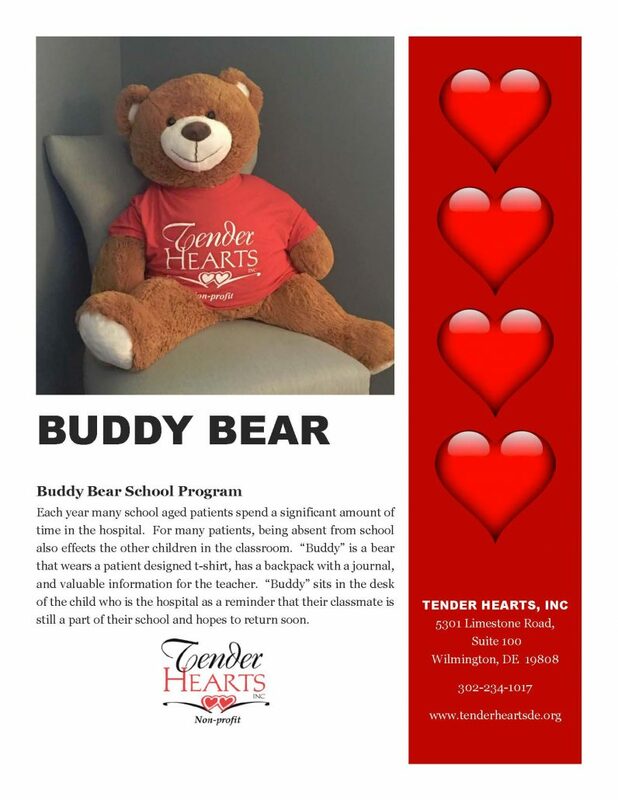 Buddy Bear – Tender Hearts Inc.
Each year many school aged patients spend a significant amount of time in the hospital. 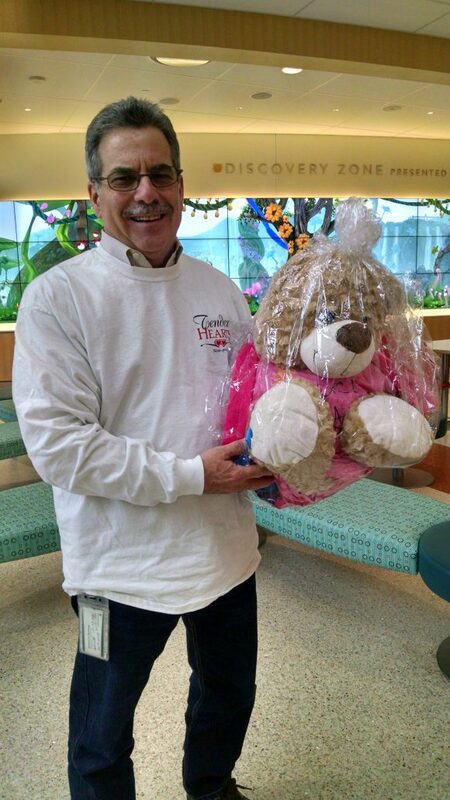 Each year, our school program teachers provide more than 3,000 hours of instruction in the hospital. 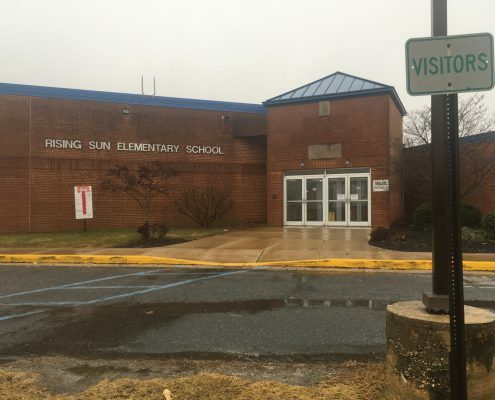 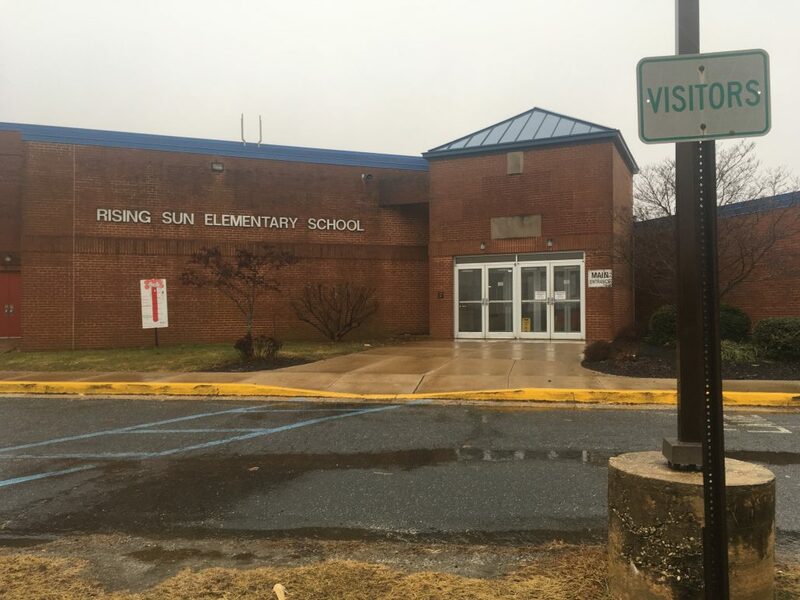 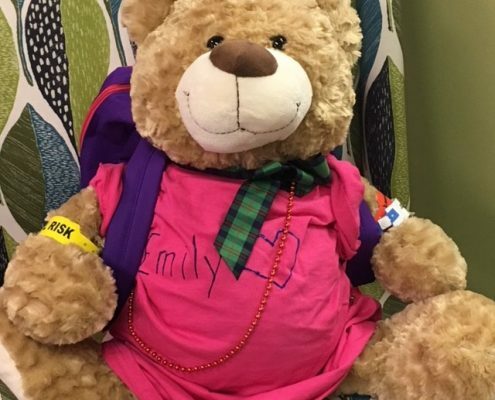 For many patients, being absent from school also effects the other children in the classroom. 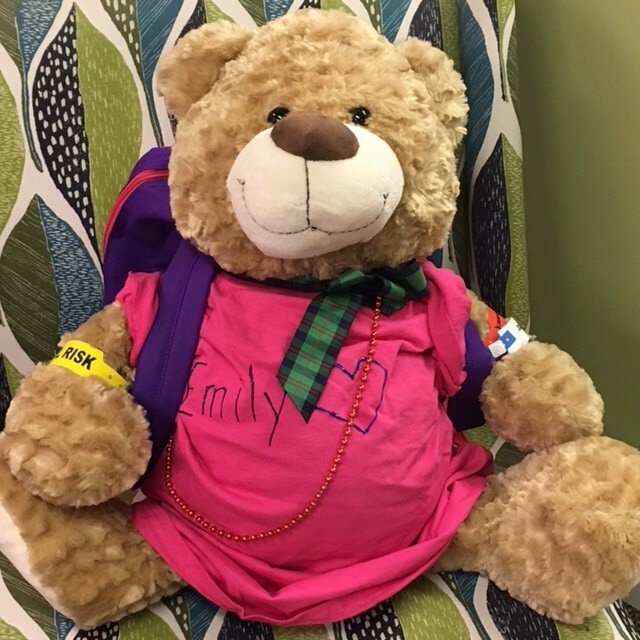 “Buddy” is a bear that wears a patient designed t-shirt, has a backpack with a journal and information for the teacher. 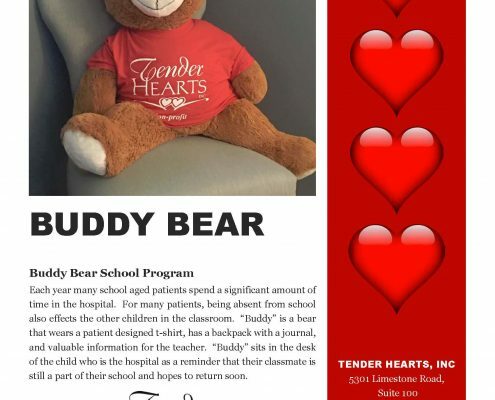 “Buddy” sits in the desk of the child who is in the hospital as a reminder that their classmate is still a part of their school and hopes to return soon. 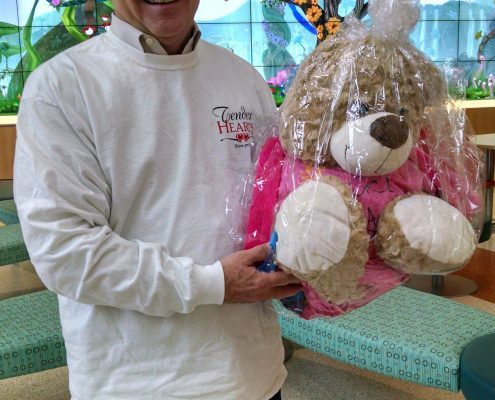 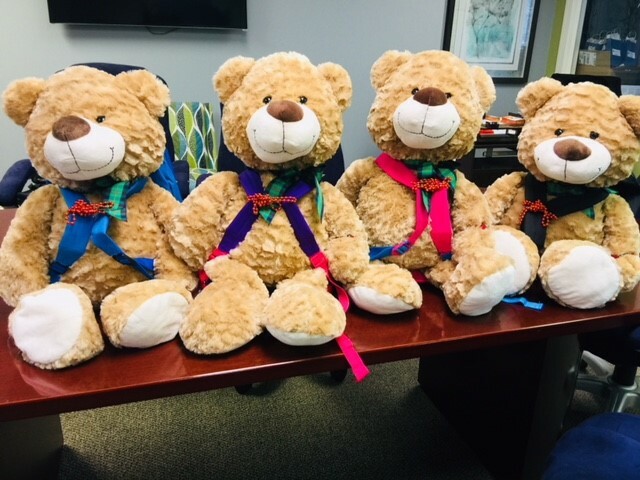 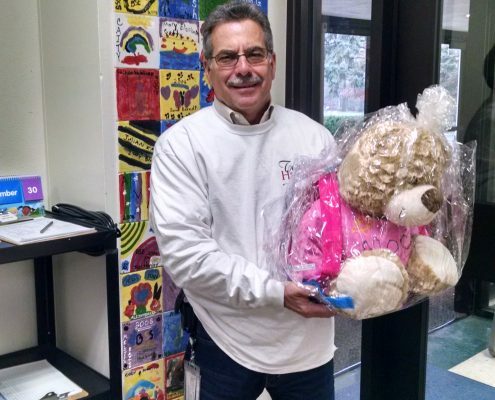 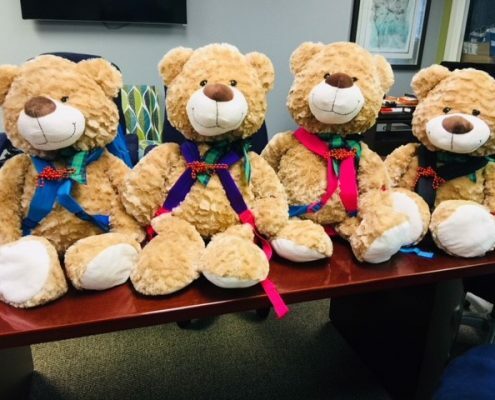 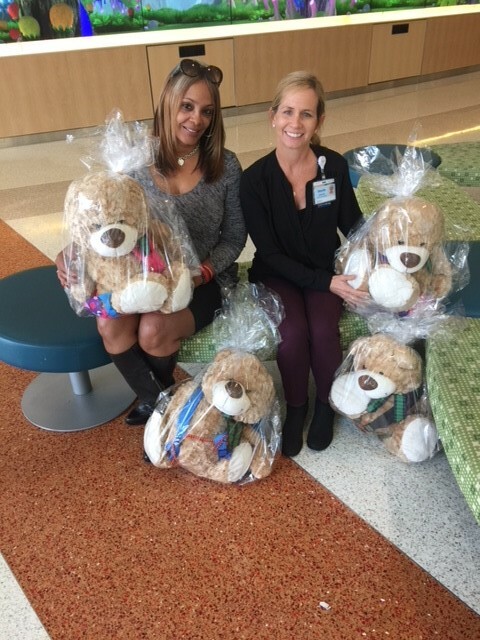 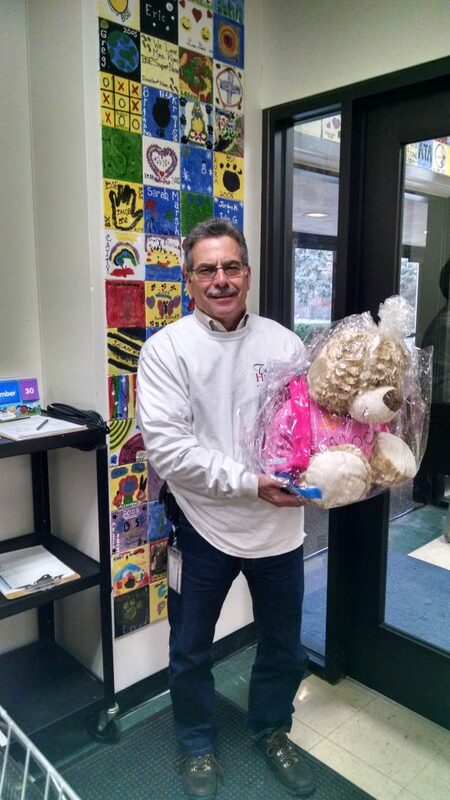 This January, Tender Hearts and Child Life Program launched its first Buddy Bear delivery.